This is going to sell soon! 172 people have recently viewed it. Reviews:* Without losing appreciable off-road capability, the H3 produces a far more civilized experience than bigger Hummers, especially when compared to the original H1. If you seldom venture off-road (which is true of almost all SUV owners), the gentlemanly ride and tamer responses are sure to satisfy rather than annoy highway riders. 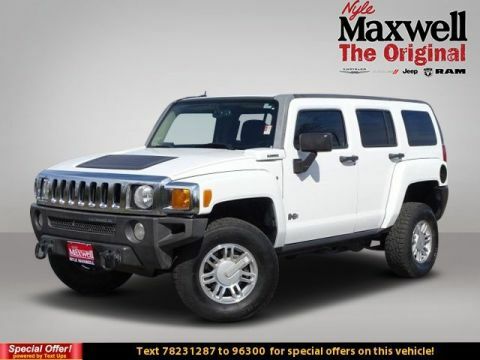 Source: KBB.com2007 Hummer H3Birch White 4WD 4-Speed Automatic with Overdrive 3.7L 5-Cylinder MPI DOHCCome visit us at the Original Nyle Maxwell in Taylor!! We have the best deals around and with the laid-back country atmosphere you can't beat it! We maintain competitive new and used inventories of Chrysler, Dodge, Jeep and Ram vehicles. Staffed with experienced sales representatives and top-trained certified technicians, we are here to provide a fun, easy and valuable automotive shopping and service experience. Serving Chrysler, Dodge, Jeep and Ram customers in Central Texas for over 18 years now and we are proud to carry the finest vehicles ever built. We stand by our word and stand by our work. We're committed to maintaining a higher standard of excellence because we live here, we play here, and we work here. Good credit or bad credit we can help you with all your financing needs! 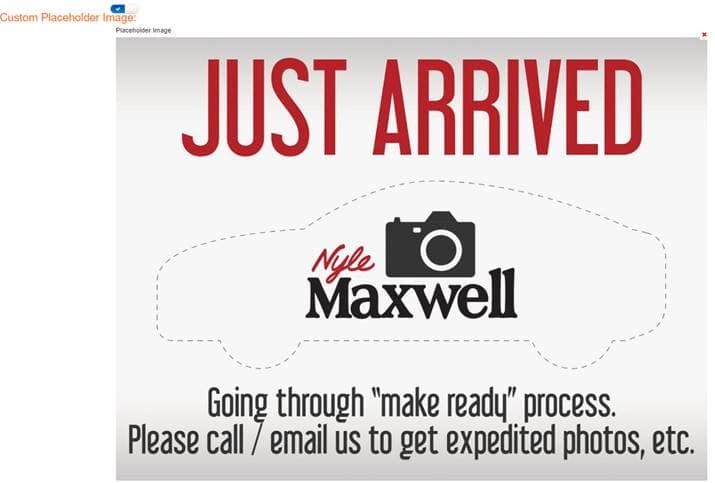 When you visit Nyle Maxwell GMC, you’ll experience why we have earned a great reputation for being a family-friendly destination when looking to buy a new GMC truck or SUV. Many of our customers are referred to us because we believe in treating the customer with respect and our sales staff and service technicians give honest answers to all the questions we are asked. We are from Round Rock, TX. We live here, we play here, and we work here. It’s important to us that the delivery of your vehicle is the beginning of our relationship, not the end. Disclaimer: New vehicle pricing includes all offers and incentives. Tax, Title and Tags not included in vehicle prices shown and must be paid by the purchaser. While great effort is made to ensure the accuracy of the information on this site, errors do occur so please verify information with a customer service rep. This is easily done by calling us at (512) 244-8000 or by visiting us at the dealership. **With approved credit. Terms may vary. Monthly payments are only estimates derived from the vehicle price with a 72 month term, 4.9% interest and 20% downpayment. Nyle Maxwell GMC	30.5418792, -97.693608.